Looking to revitalize your home interior? One of the simplest and most profound ways to transform how a room feels is to change the color – best part is, it can be done in a weekend! But it’s easy to forget little details about painting rooms, especially if you keep a day job doing that is anything but being a professional painter. 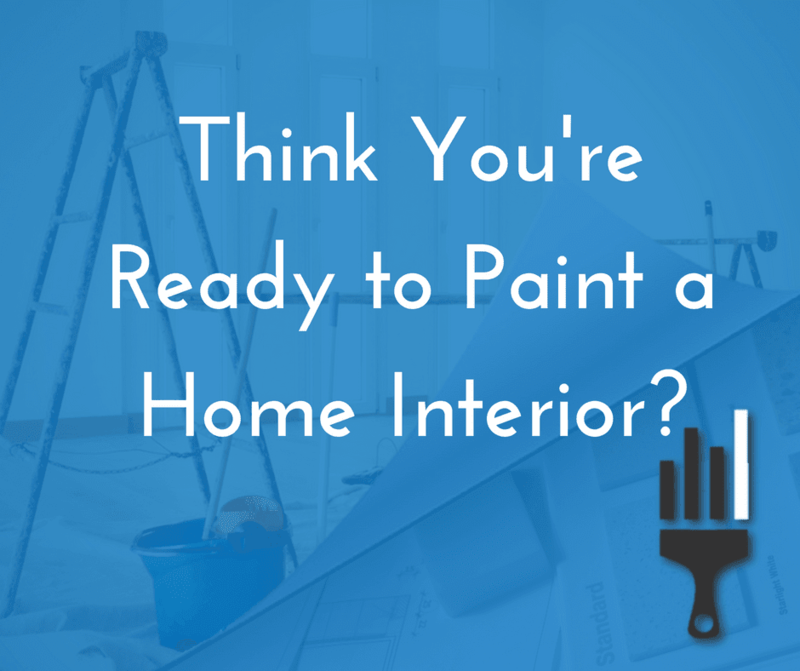 So before you bust out the brushes, head down to your local home improvement store, or think about hiring the pros, go through this article to find some of the costs & considerations of painting your home interior. If you plan to hire a professional painter (plus crew), you should expect to shell out a few hundred dollars for the average 10×12 room. Depending on your area, this could exclude the price of certain materials. So for a four bedroom house, getting each bedroom painted + the cost of larger common areas (if you’re going for a full repaint) can really add up. Sometimes (leaning more towards rarely) local paint companies, aiming to get their name out there, will offer cheaper-than-normal paint estimates for a single interior room as part of a promotional offer. If you want to have a run through the numbers yourself, however, the method is fairly simple. All you need to do is add up the lengths of each wall that needs to be painted, & multiply it by the height of the walls in your house. The next step would be to subtract the area (length x width) of the doors & windows in each room. If you can, use the same method to approximate the area of the baseboards & whatever trim is lining your rooms. Once you have that figure… write it down. You’re going to need it. Either by going online (or to your local paint supplier), you can check the cost of a gallon of paint. Remember that number you calculated for the square footage of the walls in your house? Take that number, & divide it by 400. Most paint producers claim a coverage of 450 square feet per gallon, but this does not take into account paint that gets wasted during transfer (to pans, brushes, rollers, etc.) or mess-ups/touchups. So we’ll just work with 400 square feet per gallon of paint. 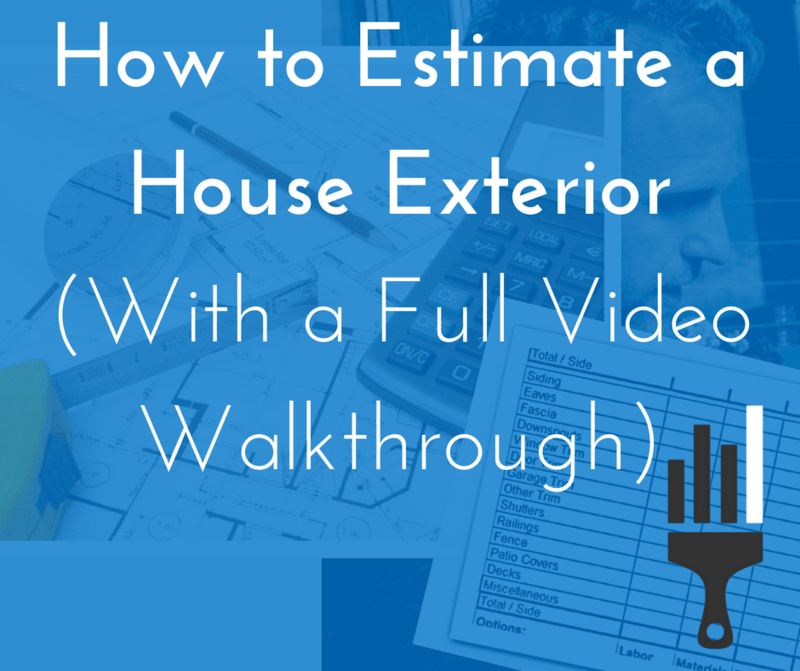 The number you JUST calculated is the approximate number of paint gallons you’ll need to cover the walls you want to paint. Take that number and multiply it by the cost of 1 gallon of paint from your local provider and…. Voila! That’s a good estimate of how much you should plan to spend on paint for your upcoming project. If, however, you want to hire this process out, keep in mind that figure will go up due to labor & other factors. If you are looking to do the project yourself, don’t go running off to the store just yet! Be sure to continue reading to see what other supplies you’ll need to get this job done (without any extra trips). Editor’s Note: For Reference, we’ve attached a quick table for the expected cost of having professionals paint your home interior. For first timers, as well as seasoned DIY’ers, picking out paint can be both exciting and daunting. So many options exist from choosing the perfect shade of grey for your in-home office, all the way to the which relaxing hue you’ll be using for your family room. Picking out colors and finishes that compliment each other could consume entire days in the paint aisle before you even consider picking up a brush. In light of this, we’ve put together a few rules when it comes to picking the perfect paint. Before we start tossing around industry lingo, let’s go over the meaning of a few words pertaining to paint. Hue– is the term used for the name of a color. Blue is the hue, indigo is the hue, etc. Saturation- Describes how abundant (or the dominance of) a hue. For example, as you start removing red pigment from a paint, you start to get pink. Intensity- refers to the ‘brilliance’ of a color. Combined colors naturally have a lower intensity than the natural pure colors (thing ROY-G-BIV). The more dominant the hue, the more intense the color. You may not have heard this since your days in elementary school, but bust out the color wheels here folks (just in case you misplaced yours, we provided one for you). It’s one of the easiest ways to pick out what colors go with each other. Complementary hues (ones that go well with one another) are opposite each other on the color wheel. This isn’t by accident. It’s one of nature’s subtle ways of telling us it’s still in charge. It’s important to note that complimentary hues work best with each other when they are of the same value. Referencing the provided color wheel, you’ll notice that each pie wedge is segmented into rings of decreasing size. And the value of each hue changes as the rings get smaller. So, if you’ve decided your kitchen needs to be a pure red (the outermost red), then it’s complimentary color is going to be a pure green (opposite & outermost on the ring). Complimentary colors are not the end all of choosing paint colors. A popular trend these days is the utilization of adjacent colors on the color wheel for accents and multi-toned surfaces. While some color enthusiasts suggest the use of up to 5 colors (and by some we mean very few), it’s not uncommon for 2 adjacent colors to be chosen for a single wall. The way you would choose this is by picking the color you want to be primary on your wall, and go either left or right on the same value ring. Exceptions do exist here, however. You should avoid going from purple to red because, despite the fact that this is a ‘wheel,’ it actually represents the visible portion of the spectrum of light that we can see. Of course, colors exist that aren’t on this wheel. They exist in the sections ‘between’ each pie wedge. Ultimately, try and follow these two rules as best as possible, but have fun & go with what makes you happy. So, you’ve chosen your paint colors (hues & all) with the proper finish for each room of the house. But how do you ensure that moving through each, freshly painted, room won’t make it seem like you changed your mind a few too many times? The answer is easily answered with one word…. Well, two words… baseboards & molding. Though the dominant colors & their respective finishes may vary in each room, you should choose one color & finish for any accent pieces. Brushes: Necessary for trim & fine detail painting. Get an assortment of sizes. Also check with your paint consultant as brushes of different stiffness are recommended for paints of varying viscosities. Paint Rollers: Save time & ensure even application of paint. Drop Cloth: Unless your room is clear of all furniture & your floors can be easily cleaned, this is a must to avoid costly mishaps (100% required for carpeted rooms). Painter’s Tape: Even the steadiest of hands can mess up. Keep the paint where it should be. Keep in mind, you get what you pay for with painter’s tape. Save yourself a headache later & ask the paint consultant at your local store for recommended brands. Paint Tray: Avoid drying out entire gallons of paint by pouring out only what you need for immediate tasks. Ladder: Unless you can comfortably reach up to where the wall meets the ceiling, it’s best to invest in a ladder so you can carefully paint high places. If all of this is feeling a bit overwhelming. You still have the option of going with professional help for your home painting needs. But if you’re concerned about cost, here are some factors that can affect the bottom line. Most of what drives up price is the labor involved with painting a room. If your walls are texturized, it can take more time (and more paint) to fully cover them. If you’re trying to save money, but still want some professional help, consider clearing out a room prior to the paint crews showing up. Removing furniture or climbing over small obstructions can increase the amount of time necessary to finish a job & ultimately increase overhead for a paint crew. Do yourself (and your painters a favor), clear anything out of a room that you don’t want painted. Professional paint crews know what they’re doing. Odds are, they’ve been in the business a while & can crank out a fully prepped room in just a matter of hours. Trim, however, is one of the most time-consuming portions of a room repaint (aside from prep). If you have a lot of trim/detail pieces in a room, keep in mind that this can affect how much it costs to paint. It pays to be proactive regarding home improvement projects. If you can tackle multiple tasks at once, you end up saving both time & money in the long run. So, before you call the job done, make it a point to inspect your baseboards & molding to see if its time for them to be replaced. Doing this before you tackle the paint on the wall will save you headaches later on & will only add to the facelift you’ve given your home interior. Decide on your colors – Stick to the rules & remember your color wheel! Remove Obstructions – Yes, the outlet covers need to come off. You’ll need a phillips screwdriver… Unless it’s a flathead screw. Clean Up & Prep – Give those walls a washin’ (You’d be surprised what’s on there). Be sure to lay down your drop cloths… the color schemes don’t work so well on the floor. Mask, Mask, Mask – Unless you have Michelangelo’s hands, go ahead and outline your work area. Second Coat & Touch ups– Many consumer paints promise a one-and-done application process. This is almost NEVER the case. Even the best paints can miss a few spots. Get them now, or you’ll see them later.